With more than one billion people without access to drinkable H2O, water is quickly topping the list of the world’s most precious commodities. To help Charity: Water channel clean water to the people who need it most, Kwiat is donating all proceeds from its Diamond Waterdrop bracelet to the nonprofit’s lifesaving mission. Accented with a 0.02-carat diamond and strung on a double-stranded braided leather cord, the silver teardrop offers a stunning visual that’s as powerful as the story behind it. With more than one billion people without access to drinkable H2O, water is quickly topping the list of the world's most precious commodities. 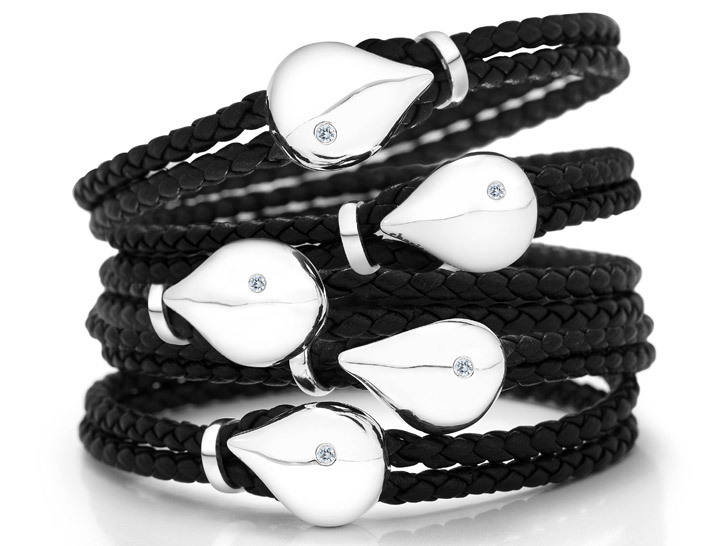 To help Charity: Water channel clean water to the people who need it most, Kwiat is donating all proceeds from its Diamond Waterdrop bracelet to the nonprofit's lifesaving mission. Accented with a 0.02-carat diamond and strung on a double-stranded braided leather cord, the silver teardrop offers a stunning visual that's as powerful as the story behind it.